Helping your new friend adapt to his new home will be easier if you plan ahead. If you have all the puppy’s basic needs in place you can focus on introducing him to his new surroundings and begin his training. Do your shopping in advance. If your choice is a puppy, you’ll need a collar and leash, a crate (a great aid in housebreaking), brush or hand mitt for grooming, toys that will be safe for the puppy, a bed for the puppy, as well as non-tippable, easy-to-clean food and water bowls. For more information, see our Puppy Necessities article. If the puppy is to be housed outdoors, choose a well-insulated doghouse large enough to accommodate the puppy at its full-grown size. It should be located on a high, well-drained site protected from the wind. Choose a location that provides outdoor shade during the summer. You’ll want the proper diet on hand to meet the special nutritional needs of your rapidly growing newcomer. Shepherd’s Meadow recommends Innova (Evo) brand dog food and this product is available at cost to our customers. Learn more about the benefits of Innova in the Puppy Care section. Select a veterinarian for your new puppy as soon as possible. Ask dog-owning friends and neighbors for recommendations. Choosing a veterinarian who is located nearby is a convenience and saves time if an emergency should occur. The best time to bring your newcomer home is at the beginning of a weekend. If possible, add a few vacation days. 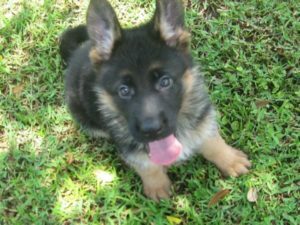 This gives you time to acquaint your puppy with its new home and to begin housebreaking and other training. Make arrangements with the person from whom you are getting the puppy as to the time you will pick him up. Avoid bringing home a new pet during busy times such as birthdays and holidays. Family members are generally too busy with the festivities to devote adequate time to help a puppy become comfortable in his new home. 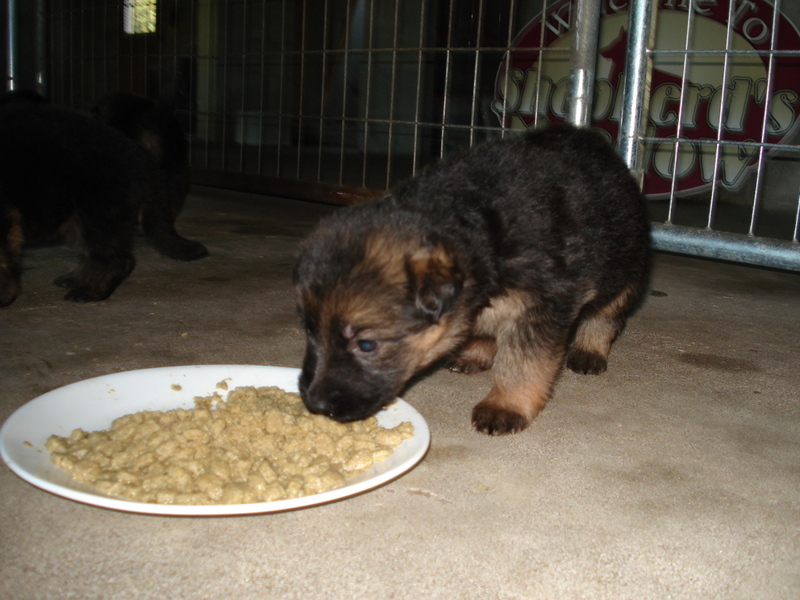 Ask that the puppy not be fed prior to pick-up time. This helps avoid the puppy’s becoming car sick on his way to its new home. Once in his new home, remember that your puppy needs to adjust to strange new surroundings and people. Children can become especially excited. Explain to them that their new companion needs time out for naps. Show children how to pet the newcomer and the proper way to pick him up. A puppy should be closely supervised and taken outside to relieve itself after eating, following naps and play periods. As soon as possible after you adopt your puppy, take him to your veterinarian. At this time, a schedule can be worked out for needed vaccinations to protect your newcomer from a number of viral and infectious diseases. He should also be examined and treated, if necessary, for external and internal parasites. Bring any immunization information you may have received when you adopted your puppy to your veterinarian to begin a case history for future reference. It’s a good idea to keep your own medical record. You may need it for reference if your pet’s veterinarian is not available. Choose a name for your newcomer and use only that name in calling the puppy. In teaching a puppy its name, as in all training matters, 100 percent cooperation of all family members is essential. When a puppy is sent mixed signals, he can become confused and not respond to any of the contradictory signals. Remember these key words and you’ll enjoy your new friends for years to come: Gentleness. Care. Patience. Consistency. Praise. Love.